On May 20, 2002, I sat in a wheelchair in front of 55 reporters at the New York Academy of Sciences. After a lifetime policy of non-involvement in social, moral or political issues, I was there as a “pro-cures” activist to debate the medical worth of human cloning. To my left sat genetics researcher Rudolf Jaenisch, cell biologist Stuart Newman and paralyzed actor Christopher Reeve. The debate’s pro-cloning moderator, genetics researcher J. Craig Venter, stood at a podium to my right. Jaenisch and Reeve argued for human cloning; Newman and I argued against it. In my opening statement, I charged Reeve with, misleading a U.S. Senate committee in his March 5 testimony regarding the science of spinal cord injury. Offended by my accusation, Reeve demanded that I explain my reasons for believing his testimony was false. He also wanted to know where clinical adult stem cell trials were taking place for SCI and amyotrophic lateral sclerosis. At the end of the debate, I turned my wheelchair to face Mr. Reeve, intending to answer his earlier questions. “Excuse me, Mr. Reeve,” I said. “If … for your …,” but I could say no more. Venter, who had approached me from behind, pinned my arms to my sides and clamped his hand over my mouth. While I fought to remove Venter’s hand, a side door opened next to Reeve and two men quickly wheeled him from the room. As far as I know, Christopher Reeve never learned about the adult stem cell research that I wanted to share with him. Furthermore, none of the 55 journalists reported that a pro-cloning scientist had muzzled me while I was trying to explain the scientific realities of SCI to Reeve at his request. Between our debate in 2002 and Reeve’s death in October 2004, Reeve continued to champion human embryonic stem cell research and cloning. The month he died, Reeve admitted that embryonic stem cells could do “nothing much” for chronic SCI, which was exactly what I had tried to tell him. Yet Reeve’s realization had no effect on the stem cell debate. At the time, stunning reports of human cloning by a Korean scientist had captured the world’s attention. Later, widespread media reports exposed that the scientist’s work was deliberately fraudulent. Because of Reeve’s March 5, 2002 testimony, I began to study the practical potential of stem cell options, including stem cells from embryos, fetuses, adult tissues and, cord blood. I quickly realized the medical pretexts being widely used to promote human embryonic stem cell research (ESCR) and cloning were as flimsy as a house of cards. Still, many Americans seemed eager to accept ESCR/cloning myths as promising miracle cures. Over my five years of stem cell activism, I took part in legislative hearings and debates. I also served as a surrogate stem cell spokesman for the White House. At each public event I attended, politicians and reporters took pains to determine the religious or pro-life beliefs of ESCR/cloning opponents such as cell biologist Jean Peduzzi-Nelson and biochemist David Prentice. Yet the inquisitors made no efforts to expose the financial incentives for scientists to pursue ESCR/cloning. To the contrary, no one ever disputed Christopher Reeve’s testimony on the basis that he was not a scientist. It became clear to me that many people had closed, their minds about stem cells. It became clear that these same people looked for reasons to ignore information that refuted their opinions. In a sad irony, I noticed that those who attacked moral opponents of ESCR/cloning for having “faith in God” seemed apt to accept without question the purported promise of ESCR/cloning—and they became angry when their opinions were disproved with facts. This willful self-deception stemmed from research-related industries using liberal media bias to convince society that these debates were about “religious values blocking miracle cures.” Consequently, many Americans embraced this fallacy because it affirmed their social viewpoints. When called to testify, I presented scientific evidence that showed why human embryonic stem cell research and cloning would siphon precious resources away from the areas of research most likely to offer the cures that these people wanted. I directed my comments to the patients as much as to the committee because I wanted them to understand I was acting for their best interests. When I left the hearing, all 12 witnesses—and their families—stood in the hallway outside the committee chambers. As one, they turned to face me, silently conveying their loathing or disdain. Sadly, those who fix their hopes on ESCR/cloning scientists choose to believe that people with religious and/or pro-life ethics are withholding their cures. However, potential cures depend upon questioning whether scientists are leading us down a primrose path. When I became involved in the stem cell issue, I saw these debates as a rare opportunity for the public to explore the actual medical worth of publicly funded science. I was therefore deeply grateful to pro-life organizations for opposing human embryonic stem cell research and cloning. Unfortunately, I came to believe that the national conservative strategy for fighting ESCR/cloning was suited to fight the battles, but lose the war. I first questioned this strategy when virtually no national pro-life organizations, ethicists or politicians made an effort to publicly expose the grisly details of New Jersey’s so-called human cloning ban. In reality, this law sanctions human cloning at the public’s expense, as long as implanted clones are aborted and killed for their tissues—no later than the “newborn” stage. In my opinion, this law presents undeniable proof that pro-lifers were perfectly justified in their fears of a moral “slippery slope” regarding ESCR/cloning. I hoped that many in society who were not pro-life would be horrified once they learned where science wanted to take us. Yet no one, except some New Jersey pro-lifers, took advantage of this perfect opportunity to drive a stake into the ESCR/human cloning agenda. Five years of corresponding with scientists before becoming active in stem cell issue had taught me that the business of science is to produce, license and sell research patents rather than save human lives. If the public would come to understand this, it might consider the implications of scientists wanting to travel research paths that present vast patent potentials with no foreseeable cures. However, when I urged political aides and bio-ethicists to incorporate exposure of these tactics into their stem cell strategy, I was told that the situations were “too complex” for the public to understand. Within weeks of the 2004 elections, national pro-life bio-ethicists and key members of the President’s Council, on Bioethics began promoting altered forms of human cloning, especially altered nuclear transfer/oocyte assisted reprogramming—despite Republicans gaining majorities in the U.S. House and Senate. Thus, at a time when resolute actions might have led to a national human cloning ban, the ANT/OAR proposal drove a wedge not only between pro-life and pro-cures interests, but also between pro-life factions who disagreed sharply over whether ANT/OAR offered moral solutions to stem cell debates. Even I found myself increasingly at odds with conservative tactics for fighting ESCR/cloning. At the time of this writing, America’s three leading presidential candidates—Clinton, McCain and Obama—all supported embryonic stem cell research and analysts expect ESCR-supporting majorities in the House and Senate to grow after the November elections. In the coming decades, many people will wonder why the disabled remain disabled and why major diseases remain uncured. Many will wonder how human life came to be valued so cheaply and why the people of today allowed publicly funded science to become a tool for promoting industry financial agendas that exploit the vulnerable. After all, the human ability to deceive ourselves lies at the root of this unfolding global tragedy. We need to find the courage to face uncomfortable truths. We need to look squarely at reality, rather than filtering information to match worldviews. Until we find this courage, mankind will continue to be misled and exploited—like a vast herd being led to slaughter—by those who mask their agendas by telling us what we want to hear. 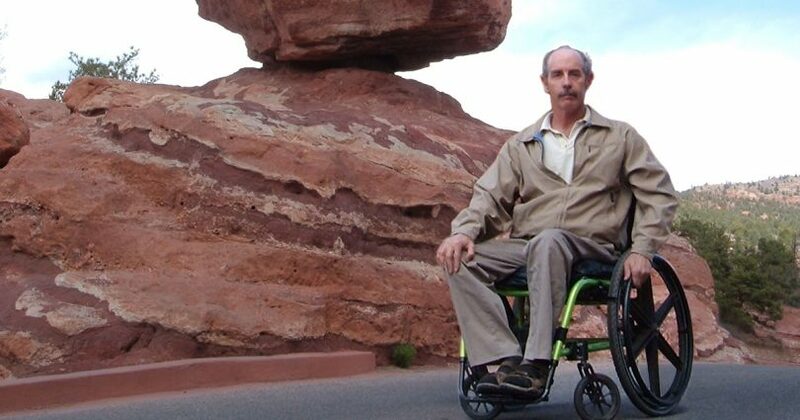 James Kelly lives with his wife, Selene, near the foot of Pikes Peak in Colorado. He is a speaker and contributing biotech writer for National Review and Human Events. He is currently working on a fictional manuscript entitled The Tainted.